Written testimonials are an exceptionally valuable form of referral for insurance agencies. For more reasons than you might think. 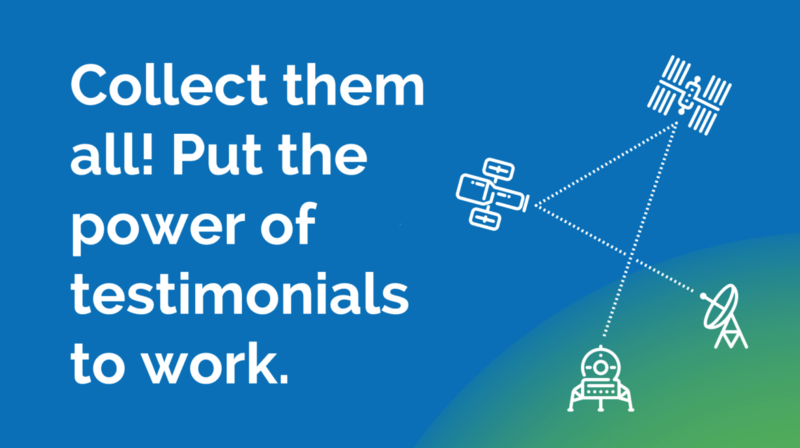 Testimonials provide social proof, promote trust and confidence in the agency, boost employee morale, improve organic SEO, and establish an identity that prospects can associate themselves with. As an added benefit—one that is often overlooked—testimonials also significantly increase client retention. A great feature of testimonials is that they never expire – allowing them to have a positive impact on many people over a long period of time. We found that, within the first couple years, a single testimonial will directly contribute to at least one new client for an insurance agency. When you consider the lifetime value of a client, this equates to $4,800 in added revenue over ten years. Let’s look at exactly why testimonials are worth so much and explore how agencies can go about getting more of them. A testimonial is different than an online review because they are generally intended for an agency’s website opposed to a third-party site like Google or Facebook. It’s important for agencies to have both. This is primarily due to the way people shop for insurance. After an agency is discovered online (with the help of online reviews) over half of the prospects will visit your website to determine if the agency is credible, and if it is a good fit for their specific needs. This is why your website should be modern, easy to navigate, and include relevant content. This is also why having a good number of authentic client testimonials is important to boost prospect conversion. The more the merrier! In addition to providing social proof, collecting written testimonials is a very effective way of increasing client retention. After a customer makes the commitment to promote you to others, it becomes a part of their self-image. In our experience, we’ve found that customers who’ve put a stake in the ground and said “This business is great and here’s why” are far less likely to leave and buy from another company. The nerdy, psychological term for this is cognitive dissonance: the mental stress a person feels when they are confronted by new information that conflicts with existing beliefs, ideas, or values. In other words, it’s easier when a customer has said “I like this company” to stick with it through thick and thin. There is not a limit to how many testimonials an insurance agency should collect. For one, the more you have the greater the impact will be on social proof. We have several clients with over 200 testimonials that are fed directly to their website. Of course prospects will not read every one of them, but the sheer number alone will have a lasting impact. Moreover, because of the significant impact testimonials have on client retention, agents should always be collecting them. When a client gives their insurance agent a personal recommendation, they must first have someone in mind that would benefit from the referral. On the other hand, when a client writes a testimonial, they’re essentially providing a referral that can be viewed by anyone that is currently evaluating the insurance agency. Because they don’t need to think of any one person to refer, an agent’s promoters—clients willing to refer—can write them a testimonial at a moment’s notice. This opens the door for an insurance agent to call their clients to action by asking them to share their experience with others. Of course, there’s more to asking than simply… asking. To get the maximum number of testimonials, an agent will need to have processes in place that will consistently identify each promoter and then communicate with them in such a way that encourages them to provide positive feedback. Rocket Referrals automates these steps for insurance agencies by first uncovering an agency’s promoters using the Net Promoter Score (NPS). After the survey, we then follow up with language that effectively collects testimonials from, on average, 15% of an agency’s total client base. Therefore, an agency with 2,000 clients will receive around 300 testimonials within the first 6 months of implementing Rocket Referrals.